In the workplace people can and do rise to very senior levels from the lowest. The last but one CEO started at the firm as a post boy and many Directors over the years have started in similar jobs. When did we last have a CAS who started as an OR? But there’s is no difference between staff in the Air Cadets except some choose to wear a blue suit and some don’t. Just tell me why the rank tabs we wear make us better than people with none or a lesser one. Not sure about a CAS, but we do have a Group Captain pictured who started as an RAF apprentice. Either way, a rank structure is a significant part of who we are. Also no one has said a rank makes someone better than someone without. So why are we so hung up on officers running squadrons if rank doesn’t make someone better? Surely someone with no rank who has better credentials should be OC for instance than someone of the “right rank”. Ditching the rank/hierarchy would see a lot of OCs bin it in an instant. But why have a rank at all, make it something like a title say “group leader”, which infers the responsibility, no presumed rank. But this is the Air Cadets set up to resemble its parent service, there for we gave ranks in our organisational set up… as said before if you don’t like it nobody is forcing you to be in it woggle off! But the continuing need to resemble the parent service is becoming the proverbial millstone, so something has to change. If it doesn’t change then it the prognosis for the future isn’t bright. We seem to have been limping along wrt uniform staff for more years than anyone would care to remember if they can remember that far back. So whatever happens the model has to change as it has been failing for years. You can chuck all the childish comments like go to the Scouts, all you like, but they are just what you would expect when people aren’t able to accept the need for change. The change needs to be that the “rank” of the person in charge of a squadron is totally irrelevant to what needs to be done. It can be perpetuated in the parent service as the are an employer, NOT an organisation that operates on the goodwill of volunteers, who have day jobs, families and lives. 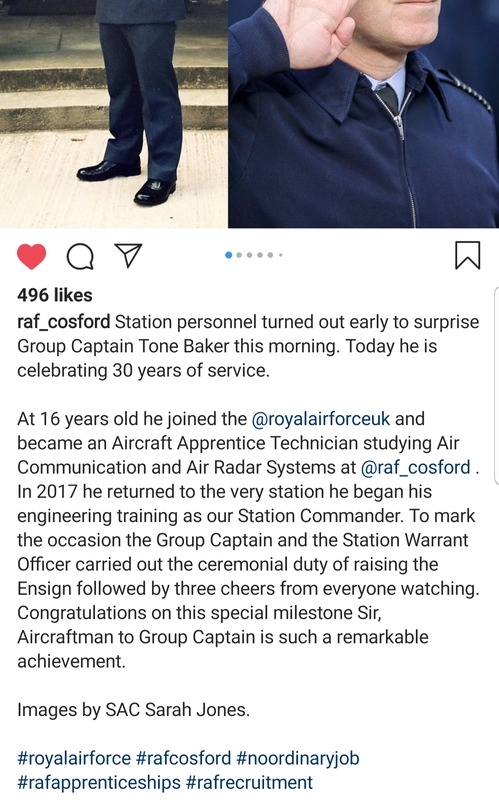 I always thought being the CO of a squadron was the greatest thing, but that thinking soon evaporated and the greatest thing is being a member of staff and being able to help guide the youngsters who join. Do we want to carry on “bullying” and lying to youngsters to get them to commission direct from cadet service? One ex-cadet now 24, who has been a Sqn Cdr for nearly 2 years, has said he’ll be standing down next year, as he’s getting married and his future wife lives and works 180 miles away that’s where he’ll be living. He’s a teacher so will just walk into a job. There are no more officers on the squadron or close by. In our sector of 6 sqns we have two “junior” officers, 3 Sgts, 4 FS and 3 WOs. Only 2 of the OCs have youth on their side. Plus there are 3 cadets over 18 across the sector who are showing no interest in being staff and not very many who are over 17. I’ve got 2 who won’t be doing a DBS, so they’ll be gone. Our WSO has been round trying to cajole people into commissioning and no one wants to and there is little interest in SNCO. I’ve told the CWC and Staff I’ve got 2-3 years before I hang up my hat for the last time, which has been met with some interesting comments, as I think they thought I’d be going out in a box. But I want to enjoy my later years and not feel tied to any one thing. The staff on the sqn ask me why I don’t speak to them about uniform etc, my reply is we had a conversation and you told me your feelings and as you are adults, you know about the organisation and if you want to do it, you will speak to me. You make some good points about the suitability of staff wrt to being in charge of a squadron in your previous posts. However I think that there is an issue with the process of becoming staff and then the process of actually being staff. Furthermore, I think it is more important than ever to ensure we mirror our parent service since the recent controversial decisions wrt gliding etc. 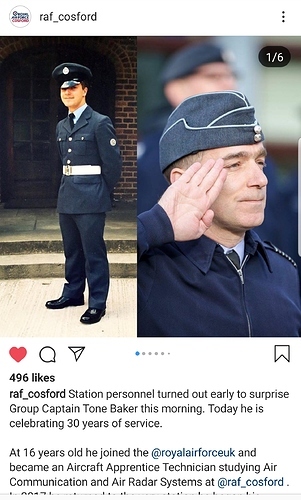 I think if we were to distance ourselves from the RAF then we lose a large part of our identity. It’s odd to say that but it is true, the RAF is a majorly significant part of our identity. For example, the process for becoming an officer in this organisation is neither easy or quick. Whereas you can become an NCO after one interview and find out your result the same day. This in turn has a knock on effect to staffing levels. More people would rather become an NCO to get back into uniform as quickly as possible rather than wait for OASC etc, especially if their squadron has no uniformed members of staff. I make a generic statement there but it is just to make a point, I am aware of the differences between the two roles and people have their preferred route. Bottom line is- the problem does not lie with rank structure, it lies with staffing recruitment and retention. There should be a standard approach to recruiting more staff and the CI application process certainly needs to be streamlined… Question is when are HQAC actually going to focus on this instead of poxy issues like T&L for WOs (sorry chaps!). I personally believe the admin burden reduction would slightly help retain people - if it yields… But retention is the biggest issue for the org. I’ve met many WSO/OC Wgs who act like staff are expendable, when in reality if it wasn’t for the staff sweating their balls off they wouldn’t be at their level. Disparity in policy application is rife across the board tbh. There are some very interesting points being made in this thread. As @Teflon has said, there are no practical reasons why we need 2 streams of uniformed staff on the unit. Why not remove DE officer as an option, and have units staffed by CIs and NCOs? Appointment to a commission could be on appointment to Wing Staff, with a minimum Prior rank of WO. They could Commissioned into the rank of FO, and take on the responsibility for things like H&S for 3-4 units, freeing up admin for the NCO IC? Sir, you are a dangerous free thinker, report to Cranwell for re-education. Isn’t that the ACF Model though? And isn’t that quite a cluster? HQAC need to understand the problem relating to volunteering and not just expect people to flock in. As I have said HQAC have to do a nationwide market research survey wrt community volunteering which would need to be a random selection of people on the street and for anything worthwhile you need well in excess of 1000 respondents across a target demographic and then an internal survey of existing staff looking at what makes them stay and why they will or don’t go for “promotion” for want of word, but not done through Bader. Then have the results analysed and then look into firstly retention and then recruitment. If you can get the retention right (not just habitation) recruitment gets easier as people will speak well of their experience, making people feel like they want to join. If they don’t anything they do will just fail just like every single time so far. The ACF have the same problem as us, not really enough people coming through. The SNCO Det I/C model seems to work for them, although I think the ideal is a 2nd Lt/Lt running it and then Capt + at county. But they didn’t have enough “baby officers” so went for SNCOs running dets, rather than beating themselves up. However I believe the Army has more of a history of SNCOs running things with fewer Officers although I could be way off beam. Why not remove DE officer as an option, and have units staffed by CIs and NCOs?Appointment to a commission could be on appointment to Wing Staff, with a minimum Prior rank of WO. They could Commissioned into the rank of FO, and take on the responsibility for things like H&S for 3-4 units, freeing up admin for the NCO IC? This sounds like doing things at sector level, and as you say free up staff to do the sqn things, which is what I thought was the basic thinking behind sectors, but with everyone committed to a squadron and sector roles a secondary or tertiary thing to do, people don’t really do it, which is understandable. So having maybe 1 or 2 sector “Officers” under a WSO, taking on things like H&S and coordinating sector/cross sqn activities without the burden of regular squadron parades, might work. However the extant problem remains of too few staff across the board. At least it’s consistent, I suppose. You don’t have one unit ran by a Sgt, and the one just down the road by a Sqn Ldr! When a unit in my wing was in danger of closing (due to lack of staff, though other reasons were believed at first), the RC - North in this case - came along and said that a unit didn’t have to have an officer in charge, but it did need to have 2 uniformed members of staff as a minimum.